Download UPSC Target 2019 - Polity and International Relation I magazine that cover Polity and International Relation related current affairs. 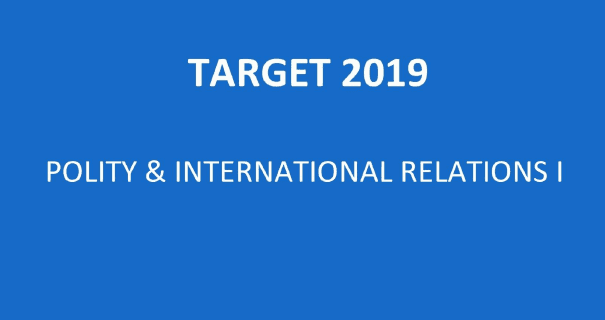 UPSC Target 2019 - Polity and International Relation I: is very helpful for Union Public Service Examination and State Public Service examination. A useful magazine covering all Polity and International Relation issue and current affairs.